The trail-to-brewpub phenomenon is nothing new in Colorado, who owes much of its history to its many watering holes. This time-honored tradition has its roots in the gold rush of the mid-to-late nineteenth century, when hopeful miners flocked to the foothills of the Rockies—then headed back to Denver, where they made sure the bars of Larimer Square stayed in business. At one point in the late 1800s, Denver alone had 55 saloons! Early Colorado beer proprietors include Tivoli Brewing Company, which sold its brews to thirsty fortune seekers beginning in 1859 and, to this day, painstakingly recreates the beer flavors of the 1800s. And you’ve certainly heard of Adolph Coors, whose recipe, known then as the “Miner’s Banquet”—brewed with water from the Rocky Mountains—has been produced en masse in Golden since 1873. Commercially produced beer has been creating jobs (and, of course, delicious flavors) in the Centennial State for more than a century, but it wasn’t until President Jimmy Carter legalized homebrewing in 1978 that the modern-day beer revolution began in earnest. When Carter did away with the remnants of the Prohibition era, homebrewers in Colorado could finally sink their teeth into beer innovation. 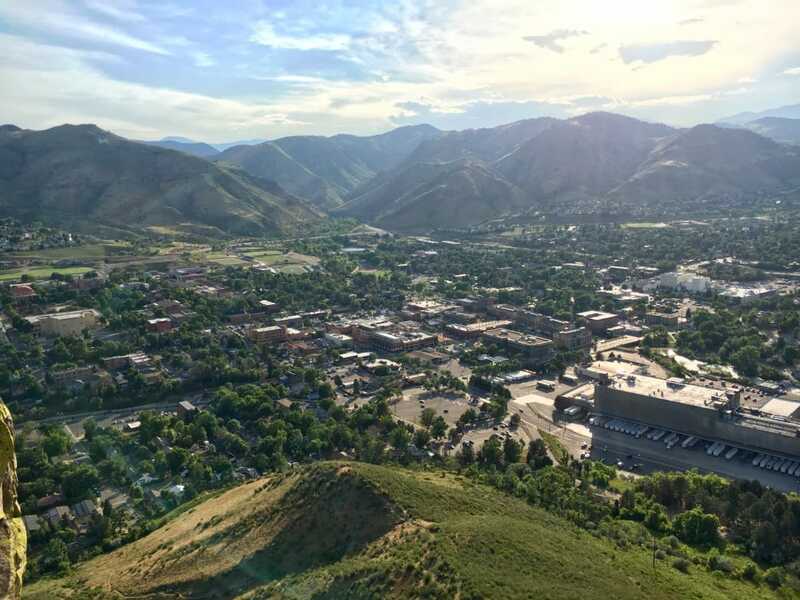 Golden is home to the famous Coors Brewery (lower right), but has plenty of smaller microbreweries, too. A decade after the legalization of homebrewing, Colorado’s first microbrewery was born. Wynkoop Brewing Company was formed in 1988 by John Hickenlooper, who would later go on to become Colorado’s 42nd governor. With help from Hickenlooper and his business partners, Wynkoop combined innovative small brews with comforting food and a social atmosphere. As the Centennial State was making a name for itself in the beer industry, its natural resources started drawing attention, too. Outdoor recreation has long been a driver to Colorado’s economy, and along with being an economic powerhouse, it’s a long-standing tradition. The state’s history is rich with tales of outdoor adventurers of all stripes, including miners, trappers, ranchers, and, most recently, skiers. When a skiing renaissance hit Colorado in the mid-twentieth century—including the opening of more than two dozen ski areas and, enough enthusiasm to make a bid to host the Winter Olympics in 1976—the state was redefined as a recreational paradise. Today, Colorado leads the nation in overnight ski visits, and all those skiers know at least one French phrase: après ski. That’s right—après ski, the French term for the entertainment following a day’s skiing, is a major part of Colorado’s recreational tradition, and these days, it doesn’t just apply to your post-ski beers. Brewpubs have popped up in some of Colorado’s most iconic recreational locations. Many breweries keep that &ldquo;old time&rdquo; feel with buildings in historic downtown districts. 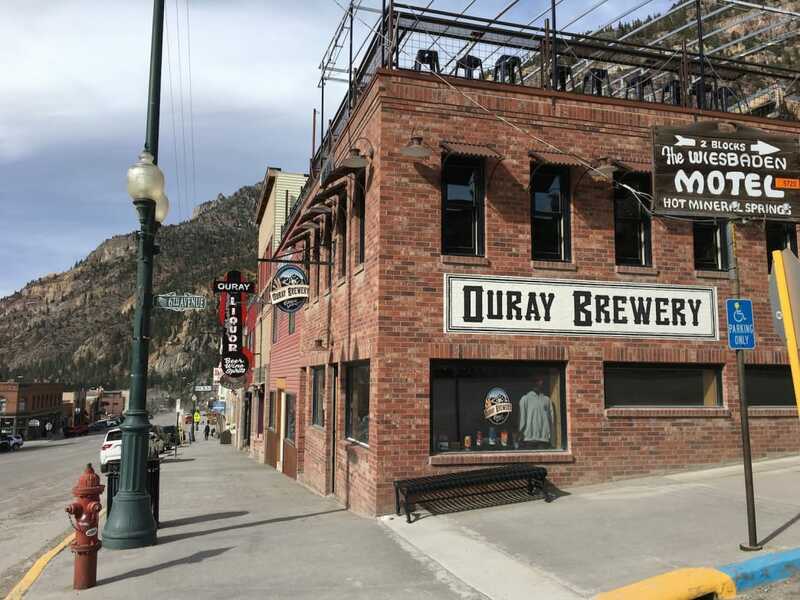 In Ouray for example, ice climbers can finish up a day in Uncompahgre Canyon and literally walk downtown to the Ouray Brewery. Mountain bikers can ride epic singletrack in Fruita, then enjoy a cold one at Suds Brothers. Gnarly kayakers regularly paddle Clear Creek, then quench their thirst at Golden’s Mountain Toad. Bigger outdoor meccas like Boulder—where outdoor enthusiasts can hike, bike, trail run, climb, paraglide, and any number of other activities—boast tons of microbreweries, each with unique flavors and crowds. Colorado Parks and Wildlife estimates that Colorado is home to over 15,000 miles worth of trails. All that space to explore, combined with hundreds of brewpubs, means that the trail-to-brewpub lifestyle in Colorado is basically a Choose Your Own Adventure novel. So get out there Coloradans—first to play hard, then to kick back and support your local brewpub. You’ve earned it.